Portsmouth is coming out of a deep freeze this week and getting ready for what could be the first substantial snowstorm of the new year. That won’t stop residents and visitors from enjoying all the city offers, however. From women’s rights protests to jazz nights, here’s what we’ve got going on in Portsmouth this week. 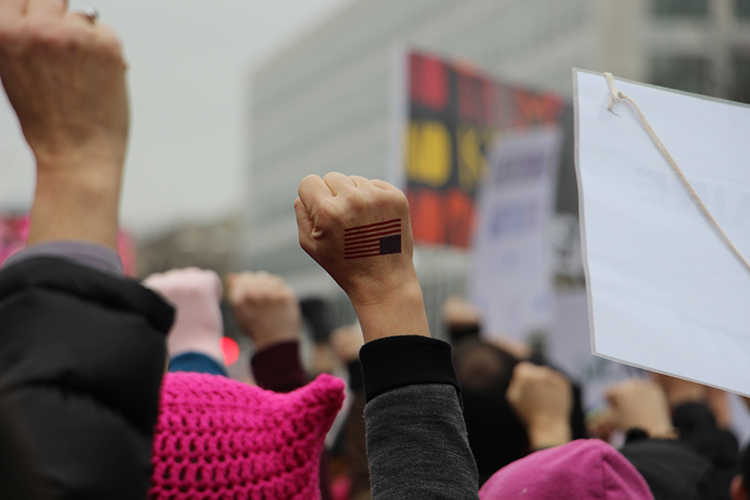 On Saturday, January 19, women will unite in downtown Portsmouth from 1-3 p.m. to “support women’s rights, human rights and social and environmental injustice. Organized by Occupy NH Seacoast, all are encouraged to attend. The group will begin by gathering in front of the North Church but is expected to grow quickly and spread throughout the downtown area. There will be speakers kicking off the event in front of the church at 1 p.m., followed by a performance by the Leftist Marching Band. On January 21, Seacoast Eat Local is the beneficiary of a five-course dinner at the Black Trumpet Bistro on Ceres Street. The meal will be prepared by James Beard nominated Chef Evan Mallett. Tickets are $100 or $140, should you wish for a wine pairing. Tickets include both tax and gratuity and are expected to sell out fast. Proceeds will help provide fresh local foods to the local community. The PPD is at it again—this time with their list of cold weather tips for residents. For a laugh that’s sure to warm your heart on a cold January day, be sure to check out their January 11 post. Bundle up in your warmest layers and come out to Chilla-Palooza, a charity event at Cisco Brewers on Corporate Drive, to be held Saturday the 19th of January from 1-4 p.m. Enjoy drinks at the outdoor ice luge bar and food from Burrito Betty’s and Margarita’s. Proceeds benefit Crossroads House. Entry cost is an item from the Crossroads Wish List, found here.